With bed bug infestations popping up throughout North America, the United Kingdom and Australia it is important for inhabitants in these places to know how to prevent bed bug infestations. Of course most of us aren’t aware of bed bugs until they become a problem for us, or neighbors. But knowing how to effectively prevent bed bugs, especially if you live in an apartment, townhome or other shared dwelling, it is key to make sure you’ve covered all bases. Keep reading to learn how you can prevent a bed bug infestation in your home. It’s great finding a cool new sofa at a second-hand shop or sitting out on the street waiting to be scooped up. Unfortunately those awesome cheap finds are a really effective way to give bed bugs a ride into your home. 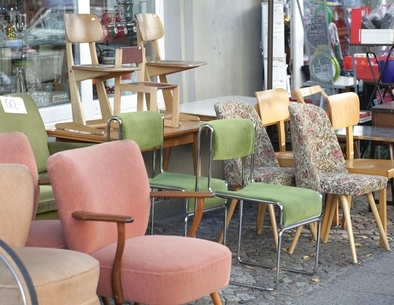 This does not mean that you must buy all of your furniture brand new; but it does mean that if you shop often at thrift stores or pick upholstered furniture up off the street, you must thoroughly clean the item before bringing it into your home. This means you will need to find a place where you can vacuum, scrub and seal the furniture before you bring it home with you. Thoroughly clean used furniture before bringing it home. When you’re on vacation the last thing on your mind is home. But the truth is that even when you’re in the comfort of a hotel you should be on the lookout for bed bugs. When you pull the sheets back inspect the mattress and box springs for eggs, feces or bed bugs. If at all possible, get up close and inspect the headboard as well for signs of bed bugs. Bed bugs can latch onto your clothing and when you pack your suitcase to go home, they will hitch a ride with you! Additionally, you should avoid placing your suitcase on the floor and instead put it on a hard surface like a table or desk. Most of see cracks in the wall and chalk it up to old buildings and regular wear & tear, but if you want to prevent bed bugs from invading your home you should immediately seal these cracks. Bed bugs can enter your home through these unsealed cracks. Don’t wait until you spot bed bugs to deal with them. Go to the nearest hardware store and get some caulk to seal them up to keep the bed bugs out! One way to help get rid of bed bugs before they get in is to act preemptively. The minute you get home from your vacation or overnight stay, place your clothes in the washer on high heat. Dry them on equally high heat to make sure you stop the infestation before they spread. This is an important way to prevent bed bugs because if you pick them up unknowingly and then toss your dirty clothes in with other laundry, you risk them spreading throughout your home. Take the clothes from your suitcase directly into the washer. Bonus Tip: Clean your luggage thoroughly as well if you suspect you may have encountered bed bugs. Vacuum it, tape it and seal it for several weeks to be sure. Keep bed bugs out of your life by keeping the clutter in your home to a minimum. While it’s true that bed bugs can come whether your home is clean or dirty, the truth is that clutter provides a very good hiding place for them. If your home is filled with clutter you won’t be able to find all the hiding places for bed bugs. Remove the clutter by adding more shelves or plastic storage containers to hold items. If you have no room to spread out clutter consider placing items in an attic or a storage facility. The less clutter your home has the less likely it is you will get bed bugs. 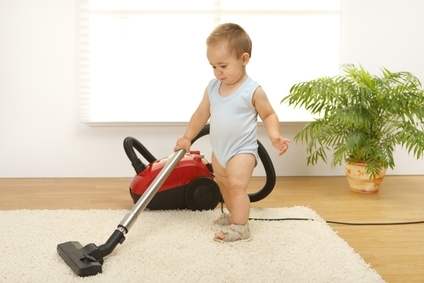 A regular vacuuming will help prevent bed bugs. Life gets in the way of plenty of obligations. We don’t see our friends as much as we should, don’t spend enough time with the family and we don’t clean as much as the house needs. It happens but if you truly want to prevent bed bugs from spreading throughout your home make an effort to vacuum regularly. Vacuuming your home at least once each week—in corners and even upholstered furniture—will scoop up any bed bugs or eggs that are present. Since bed bugs lay eggs every 5 to 7 days, a weekly vacuuming can make sure you get rid of them before they become a big problem. Also make sure you change your vacuum bags regularly. If there are a few bed bugs in your home already, they can escape the bags and begin to spread.